In the past year, Zimbabwe has attracted a new clique of international entrepreneurs, colloquially referred to on social media platforms as briefcase businessman. Zimbabwe's twitter is awash with pessimistic commentaries and jokes about these supposedly multi-million dollar investment proposals. Some commentators view them as the government's public relations initiatives to divert Zimbabwean's attention from bread and butter issues. The country has ambled from one investment promise to the next and failed to attract serious pedigree investors with a proven track record until now. The arrival of Ghanaian mining magnate Sir Samuel Jonah, Chairman of Ashanti Goldfields on Wednesday has heightened optimism in government offices and business circles. The Billionaire recently set up an investment vehicle, Polytimos Ousia Capital with local businessman Mr. Thabani James Moyo. The company was established with the sole purpose of investing in the mining sector. During his stay, he will meet President Mnangagwa and other government officials. We managed to speak to his business partner Mr. Moyo. "This is an exciting opportunity for Zimbabwe. Sir Jonah brings invaluable knowledge and expertise in the mining sector. His highly regarded international business reputation and acumen will give confidence to other potential investors who are interested in establishing a local presence"
The Zimbabwe mining sector could indeed benefit from Sir Jonah's international business network and invaluable experience in the country's quest for economic growth. Sir Jonah grew Ashanti from a single mine to the second largest gold producer in the world. The Billionaire started his working life breaking rocks miles underground and rose to the highest echelons of the mining world, brokering multi-billion dollar deals in boardrooms across the globe. A pioneer and true pan-African, the charismatic Sir Jonah has attracted fellow Ghanaians to the country's once foreign-dominated mining sector with an "Africanization policy", that insured his countrymen also prospered in the mining sector. Many African mining executives across the continent credit Sir Jonah for opening and paving the way. According to Thabani James Moyo, Sir Jonah will be in the country until Thursday and will meet President Mnangagwa, government officials and the business community. Moyo who has a vast network of high net-worth individuals across the globe interested in investing in Zimbabwe is excited about the country's future prospects. "Zimbabwe’s potential in numerous sectors such as mining and tourism cannot be ignored, we are a sleeping African giant"
The new administration has been successful in making the country's business environment less bureaucratic. However, the investment climate in Zimbabwe is still reeling from the previous administration's draconian laws that hampered foreign investment. 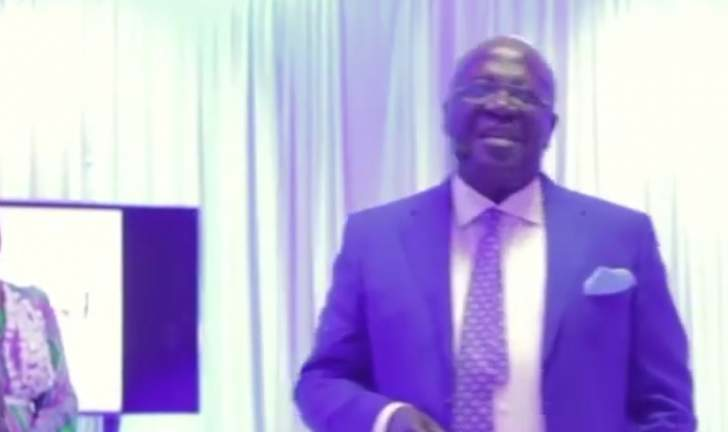 Sir Jonah is the second African Billionaire to visit Zimbabwe in recent years after the world’s richest Blackman, Nigerian business magnate, Aliko Dangote visited the country last year to invest in a cement factory. The project has since been put on hold after the businessman and his team were left frustrated by the then Mugabe government. President Mnangagwa whose ambition is to create a Zimbabwean middle-class by 2030, has labeled his administration as a "new dispensation" that is "open for business", one fervently hopes Sir Jonah’s business efforts in Zimbabwe run smoothly and encourage other investors to take a punt and tap into Zimbabwe’s enormous potential and perhaps start a torrent of investments.